Startling new research which can be viewed here Science World Report: suggests that severe brain injuries involving trauma from car crashes and other high impact accidents can be treated with marijuana. At a certain point, you’ve got to wonder if cannabis really is the miracle plant. I know it sounds like a stoner thing to say (insert super stoned accent here) “Marijuana will save the world man,,” but in reality the diversity of uses for the plant never cease to amaze. But don’t take my word for it! Read the following excerpts of the students from actual professionals and scientists studying the effects. The study, led by researchers at Los Angeles Biomedical Research Institute, surveyed emergency patients for levels of tetrahydrocannabinol (THC), an active ingredient present in marijuana. They found that those tested positive for THC had a lower mortality compared to people who tested negative for the illicit substance. 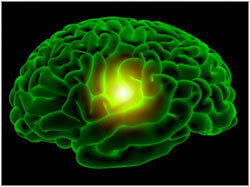 According to the researchers THC plays a key role in protecting the brain in case of a traumatic brain injury. The researchers looked at 446 patients with a traumatic brain injury. Urine samples were collected to test the presence of THC in their body. It was observed that 82 of the total patients had THC in their system and out of these 2.4 percent patients had died compared to 11.5 percent deaths of patients who had tested negative for the illicit substance.